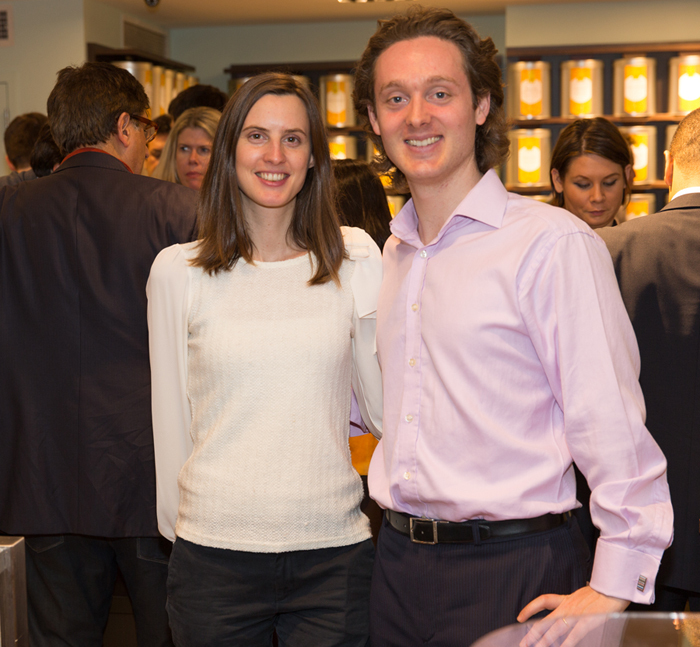 Here are a few photos from the recent grand opening, in New York City, of the U.S. flagship store of Le Palais des Thés, founded by tea explorer extraordinaire François-Xavier Delmas. He graciously invited me to the opening, but I was unable to attend. I still wanted to post these pics he sent, however. 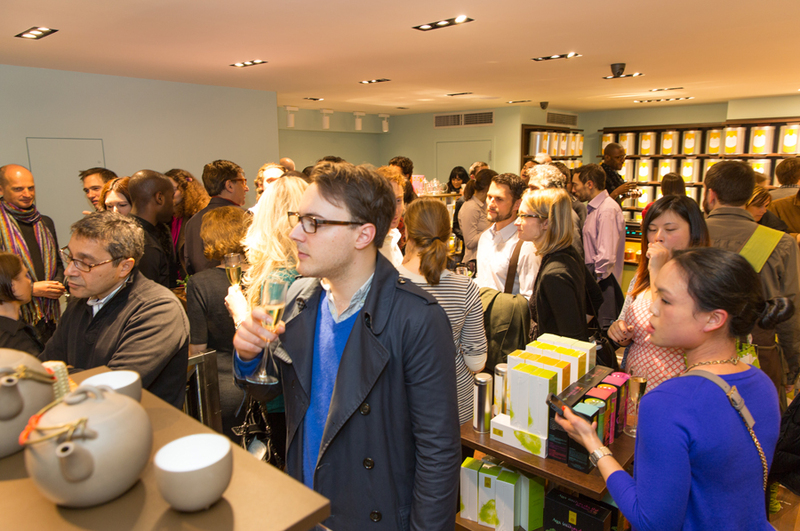 The shop is located in SoHo, at 156 Prince Street. If you drop in, please tell them Mellow Monk says hi! 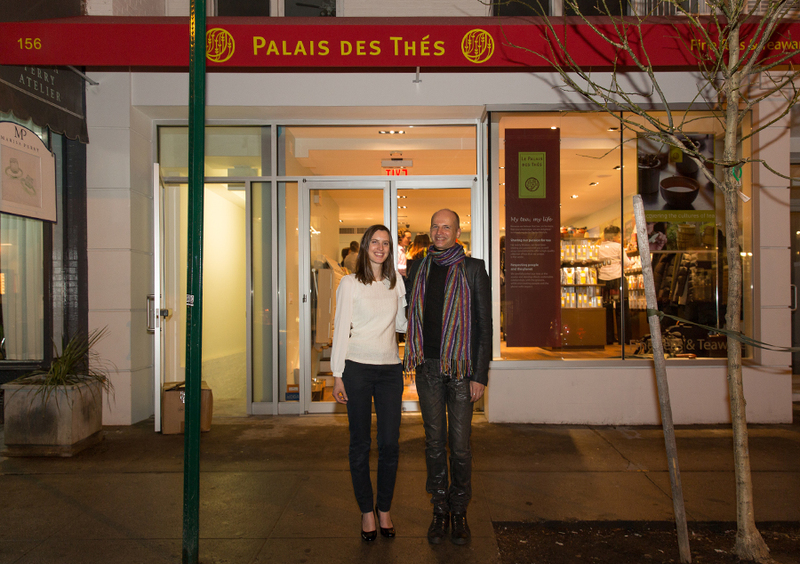 Le Palais des Thés founder François-Xavier Delmas (right) with U.S. General Manager Aurelie Bessiere outside the SoHo flagship store. 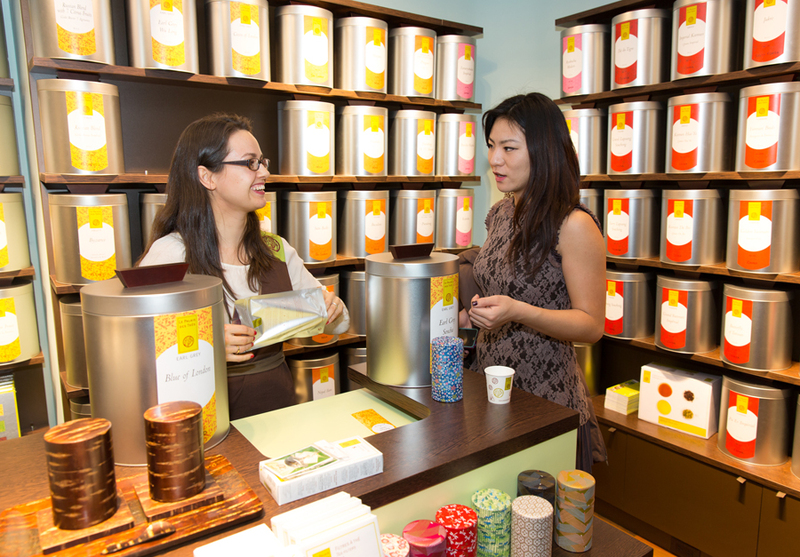 A staff member interacts with a customer. 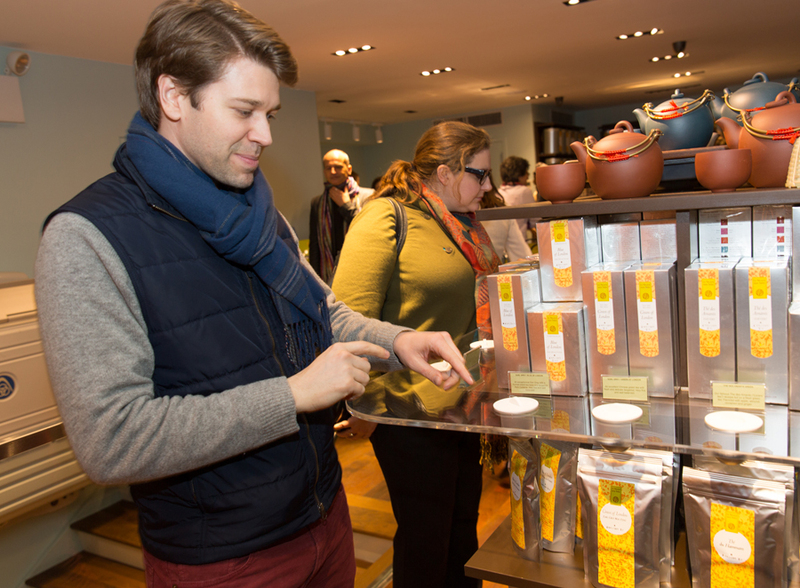 A customer explores the self-service tea testers. Aurelie with fellow U.S. General Manager Cyrille Bessière. 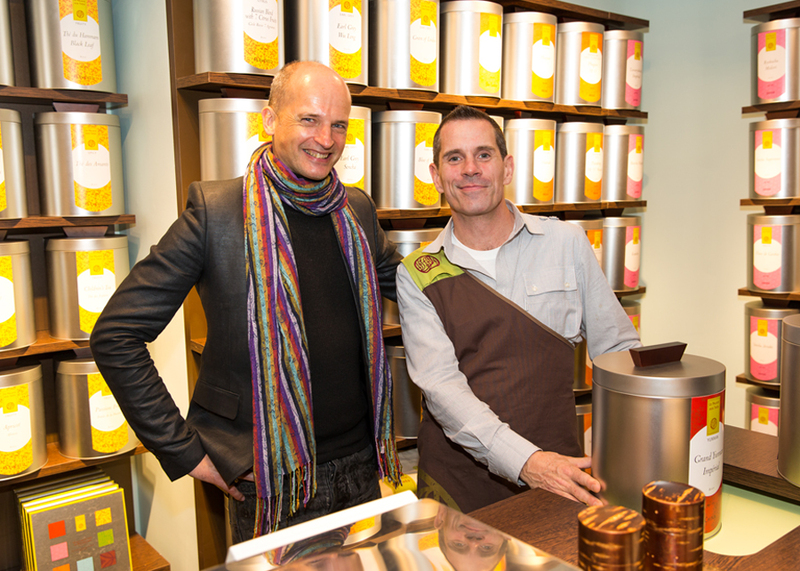 François-Xavier with store manager Emery Cooke. 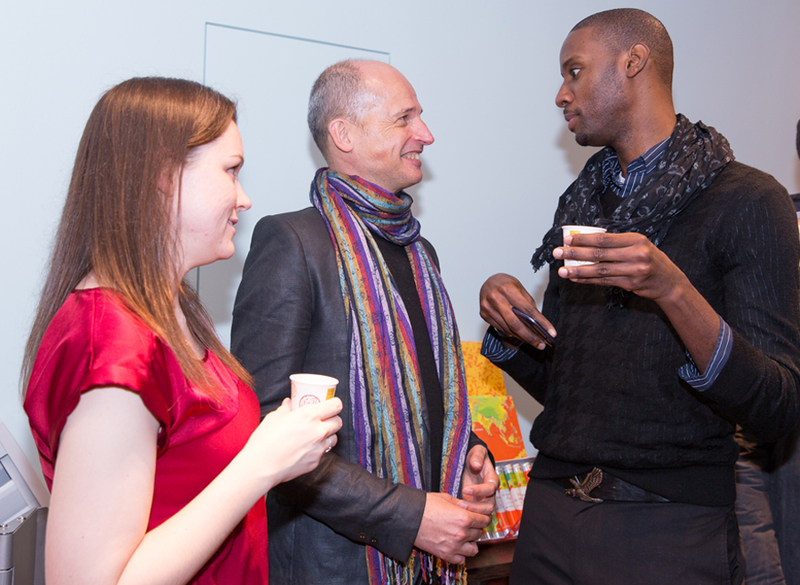 François-Xavier chatting with bloggers Nicole Martin and Mario Nicholas. 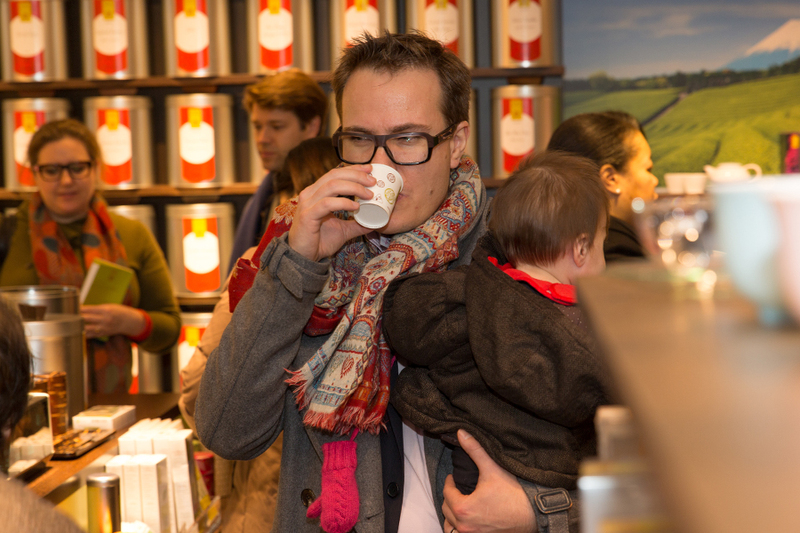 Training the next generation of tea lovers.